Advanced filtration for a better future. Ulpatek filters and systems equipments are used in national and international beverage and food production facilities. 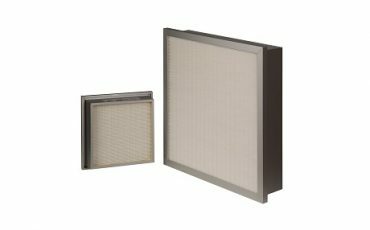 It is very important to use the appropriate filter stages, filter classes, filter numbers to keep the air quality at the desired level in such a high standard requirements. Increase of health concerns in recent years, demand for food quality, awareness about food quality in humans caused the national and international standards to be taken into consideration and the manufacturers to upgrade the technology during food production.This awareness and obligation enabled the increase in the filtration systems in the established production infrastructures and the more efficient operation of these filter systems. 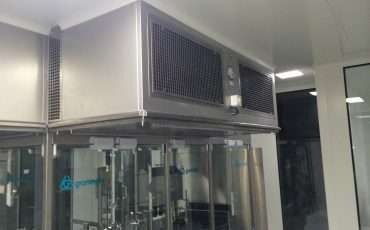 The number of particles in the production environment can be reduced by installing hygienic ventilation systems with filtering stages that are in accordance with standards and regulations, so that the shelf life of some products can be increased through these systems. 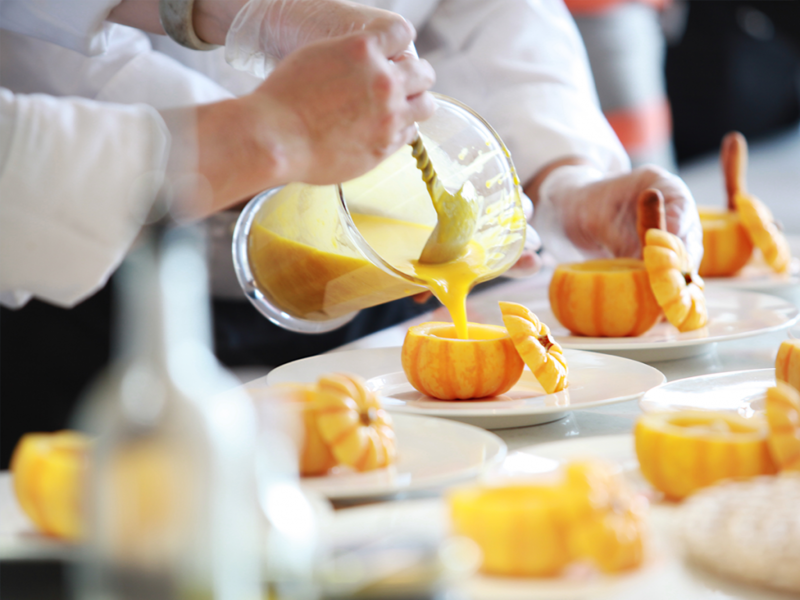 In the production of chocolate, jelly candies, dairy products, ready-to-eat frozen foods, cooked or processed meat, processed fruits and vegetables, semi-finished and fully cooked bakeries can be used Ulpatek Filters and system equipments to increase shelf life and to deliver customer healty foods. The conditioned nd the 4-stage filtered air from the air handling unit sent to the production area with suitable ducts for hygienic applications. The air in the room sent back to mixing part (fresh + return) of the Air handling Unit. We recommends ducts and return grilles to be stainless steel. Fan filter unit (FFU) is a type of air filtering equipment with fan. 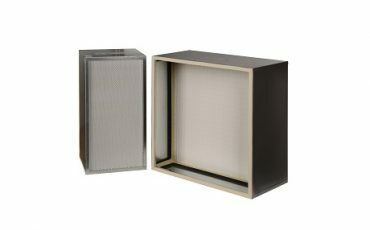 It is used to supply clean air to cleanrooms, laboratories, medical facilities or microenvironments by removing particles from air. 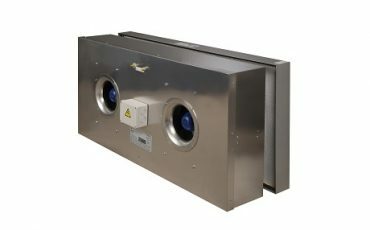 These type laminar flow cabins are used for production, weighing, sampling and packaging. Laminar Flow Cabinets are designed to be used in all kinds of production and working areas that require clean environment and laminar flow. 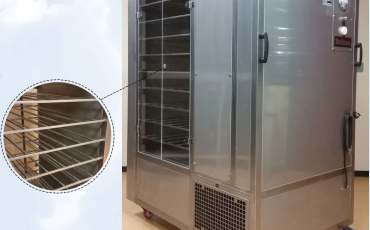 Mobile Laminar Air Flow Unit is designed for transporting sterile products under ISO Class 5 (Class 100) particle free work area to ensure product integrity. 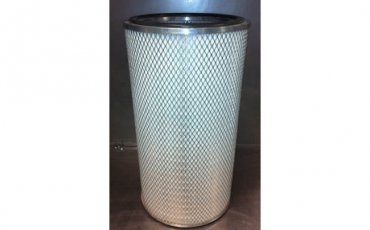 Designed with more specialized filter media than standard HEPA filters for the special systems in supply and exhaust air systems in industry, clean room, medical and nuclear installations. Preferred in high-risk environments with production technology that allows it to operate at high temperatures (maximum 260 ° C). 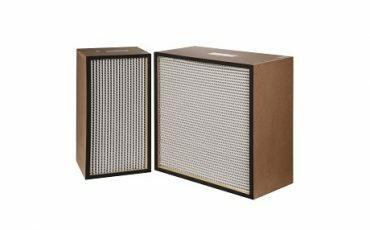 Filters with the most energy saving and long filter service life, which can be use for face velocities up to 3m/s (air volumes up to 4000m³/h) with the construction allowing maximum filter surface area usage. 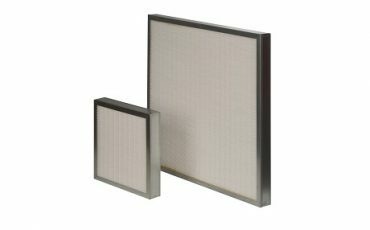 Protect personnel, equipment and process against airborne particles with larger filter surface area filter can be used in high airflows. It is the preferred filter model with the construction advantages in the design phase depending on the characteristics of the process and the application, especially industrial applications and power plants. 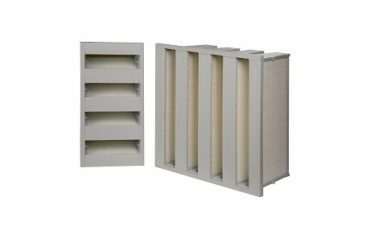 V-Compact filters with high filtration area and low initial pressure drop are the most preferred filters in the second and/or third stage of the ventilation systems with the advantage of service life and low energy consumption. 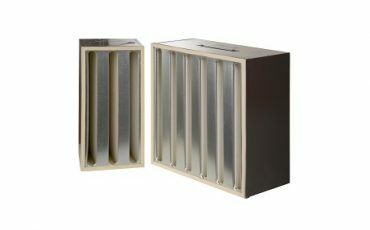 Preferred filter model especially in applications such as air handling units, suction grilles due to the requirement of less filter installation area compared to the similar models. ULPATEK FİLTRE SAN. TİC. A.Ş.